If you want a career in law and want to join a branch of the military, you may be wondering what JAG, also known as Judge Advocate General’s Corps, is. JAG, or JAG Corps, is the branch of the military that deals with military justice and law, so if you’re interested in the legal system, you may want to look into starting a military career. JAG, or the Judge Advocate General’s Corps, is the largest and oldest law firm in the United States. Founded by George Washington in 1775, JAG was abolished in 1802, but made a comeback nearly fifty years later and has been around ever since. After creating the first JAG school in 1942 and growing tremendously in size, the JAG corps has become an essential part of the military. By the 1950’s, JAG managed to overhaul the entire military law system and create the Soldier’s Bill of Rights in order to ensure fair and humane treatment for all enlisted individuals. It’s been involved in everything from prosecuting President Lincoln’s killer to convicting Major Nidal Malik Hasan in the Fort Hood shooting that took the lives of 13 service members in 2009. From the Revolutionary War to Afghanistan and Iraq, JAG professionals have served wherever they’re needed since JAG was founded. No matter what type area you want to practice in, you could be stationed anywhere in the United States, or even abroad. When asking what JAG, or the Judge Advocate General’s Corps, is, it’s important to realize the there are actually two different jobs that are available, both attorneys and paralegals are involved in the JAG Corps. If you become an attorney, you’ll be responsible for prosecuting criminal cases and giving legal advice to enlisted individuals and their loved ones. Paralegal specialists, on the other hand, tend to work more on the administrative end of things. For instance, while paralegals aren’t in charge of prosecution, they often do much of the paperwork involved with military court cases. They also help with family law matters. Both paralegals and attorneys are important, but since attorneys have more responsibility, you can only work as one if you’re an officer. 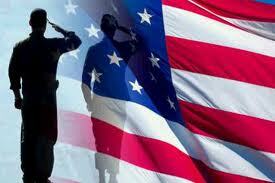 If you’d like to be a paralegal, you only have to be enlisted in the military. When you’re deciding on what you want to do with your life, it can be hard to know where to look. If you’re considering a law career and are asking what JAG, or the Judge Advocate General’s Corps is, you just might have found what you’ve been looking for.